Budget Hotels and Pousadas in Fernando de Noronha. Our budget accommodation options will fit your wallet. 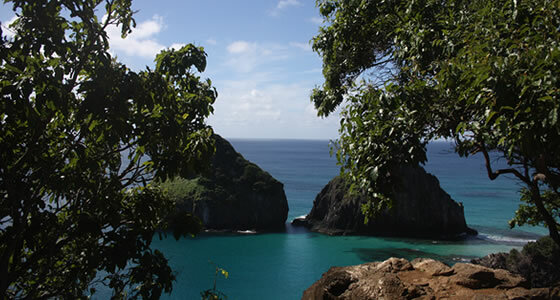 Discounted home pousadas and hotels in Fernando de Noronha. Get advice from our team of local Noronha Hotel experts. There are approximately 26 budget pousadas set out around the island. Guests cannot expect many amenities or outstanding services. However, travelers should expect to find clean charming accommodations with inn owners who are eager to please and most of these pousadas deliver. Budget friendly pousadas in Fernando de Noronha have the basic amenities. Expect to find Internet in just about all pousadas. From there the features vary. Some pousadas will have parking available or provide means to rent a car. Some have swimming pools and other have positioned themselves within easy access to restaurants, bars and shopping. Many of the inn owners will also help arrange tours or special activities. The budget inns are located in a few basic areas around the island. Most are located in Floresta Nova. The rest are scattered throughout Vila do Trinta, Vila dos Remedios and Vila do Boldro. When making reservations do so well in advance. This is especially true for the months of January, February, July, or December. In addition, on religious and national holidays the inns usually fill up quickly. Most of these budget inns support eco-friendly tourism by using solar energy, recycled products and contained water and sewage treatment.